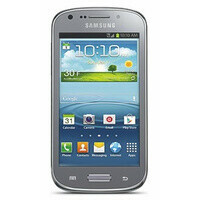 Today, U.S. Cellular announced the latest addition to its roster of Android smartphones – the Samsung Galaxy Axiom. As expected, we're dealing with a mid-range device quite similar to the Galaxy S III mini. There are, however, a few notable differences between the two. To start, there is no word of an AMOLED panel being present on its front. 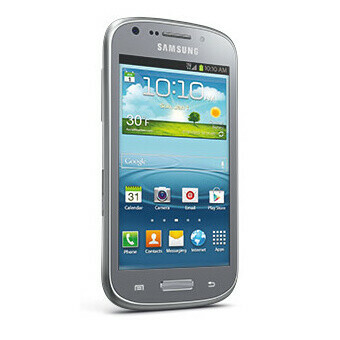 Instead, the Samsung Galaxy Axiom is equipped with a 4-inch TFT screen offering 480 by 800 pixels of resolution. The processor inside it is a dual-core chip running at 1.2GHz, yet its make and model aren't being mentioned. You also get a pair of cameras – a 5-megapixel one with LED flash on the back and a 1.3MP cam for video chats up front. Further down the specs sheet we see 4GB of internal storage that can be expanded by popping in a microSD card and a 2,100mAh battery good for 7.5 hours of talk time. Android 4.0 Ice Cream Sandwich comes pre-loaded with goodies like S Beam and S Voice. 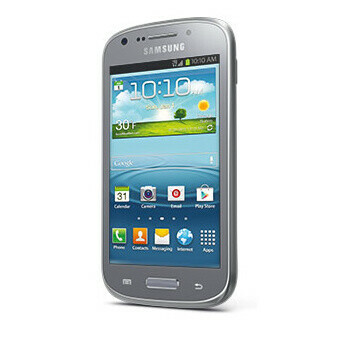 Last but not least the Galaxy Axiom runs on the U.S. Cellular 4G LTE network for speedy internet access. The price of the Samsung Galaxy Axiom varies by location: in some markets it is offered for $80 on a 2-year contract, yet in others one can have it for free. $400 is what you'll have to pay in case you aren't ready for long-term commitment. I wish that this was what the galaxy s3 mini was. OKay I might have missed something but this is the GS mini. I just cross refferenced it against gsmarena and phonescoop. I do see that USCC swapped the amoled screan out but I'm more than sure that was to keep cost and down but they pump the front camera up to 1.3 MP vs the VGA that the GS mini was shown to have. It's not uncommen for US carriers to mod there verions of phones. Look back the first GS and every carrier modded theres in some way. Didn't change that it was a GS. it's overpriced, lg nexus 4 all the way! Overpriced? I guess you didn't see the free in some markets and after talking to the local stores and customer service it's actually free in all there LTE wave 1 and 2 markets.